US law firm Sullivan & Cromwell was top of the tree in terms of global deals activity in the second quarter of 2018, according to a new league table compiled by GlobalData, a leading data and analytics company. The company monitors all major financial deals activity around the world including mergers and acquisitions, rights offerings and partnerships, and has ranked the top 20 law firms in terms of the value of deals they advised on in the second quarter of the year, compared to the same period in the previous year. The deals data tracked by GlobalData, revealed that the overall global deals value grew 77.8% from $547.7bn in Q2 2017 to $973.9bn in Q2 2018, while volumes rose marginally by 3.9% from 8,683 to 9,019 respectively, during the two quarters in review. All announced deals are counted towards the league table total. Takeda Pharma’s acquisition of its bigger rival Shire for $80.4bn was the biggest deal recorded during Q2 2018. T-Mobile US’s takeover of Sprint for $59bn and Comcast’s proposed acquisition of Sky for $39.8bn were the next two biggest deals of the quarter. 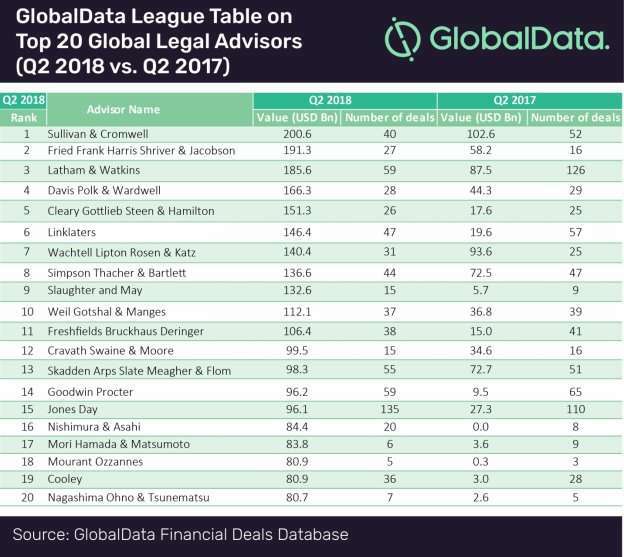 The Takeda-Shire deal, the largest-ever international acquisition by a Japanese company, has moved Sullivan & Cromwell, Fried Frank Harris Shriver & Jacobson, Latham & Watkins LLP and Davis Polk & Wardwell LLP to the top four positions in GlobalData’s top 20 list of legal advisors. 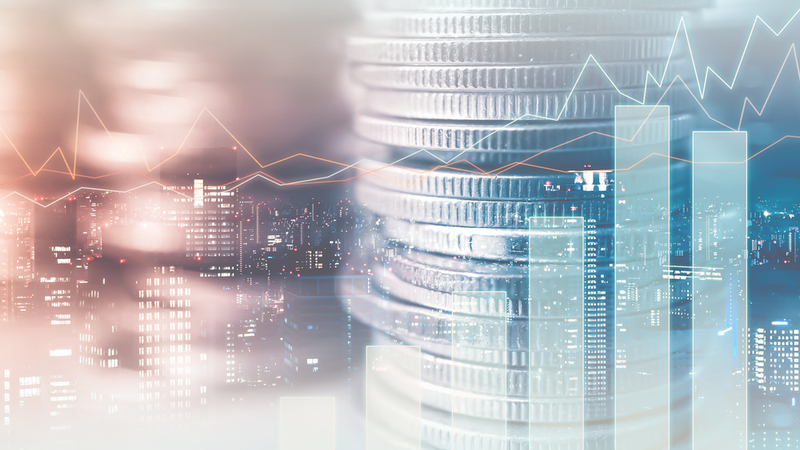 Having advised on 40 deals, Sullivan & Cromwell achieved a near-doubling in the value of deals it worked on in the quarter versus the previous year from $102.6bn to $200.6bn and topped the league table. In terms of volumes, Jones Day topped the chart with 135 deals during the quarter, followed by Latham & Watkins LLP and Goodwin Procter LLP with 59 deals each. These three advisors are ranked 15th , 3rd and 13th respectively, in value terms. High-value deals continued to influence the positions even at the bottom of the league table, as some legal advisors namely Mori Hamada & Matsumoto, Mourant Ozzannes and Nagashima Ohno & Tsunematsu made their way into the Top 20 list, despite figuring in only six, five and seven deals respectively during Q2 2018, as per data tracked by GlobalData.